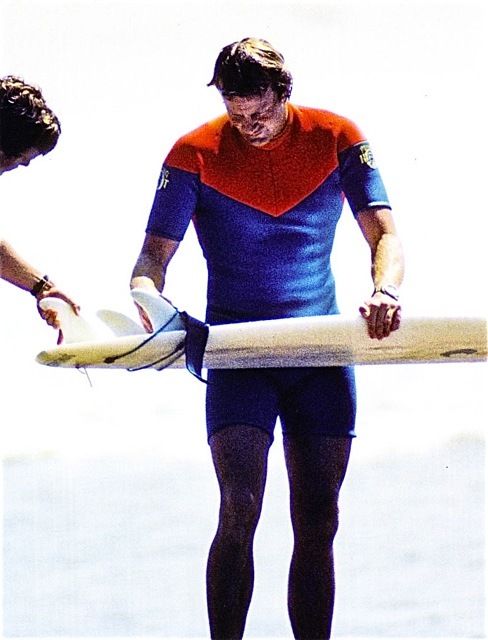 Going through the Simon Anderson story cover to cover I can find no mention of his official relationship with Country Rhythm surfboards in South Africa. With that in mind I'm pleased be able to share with you shots sent to me by Zac of a lovely and therefore, rare, early 80's thruster in remarkable condition that now resides in South Wales, UK. Hi - My name is Michael Willnecker and Lisle is my Uncle. 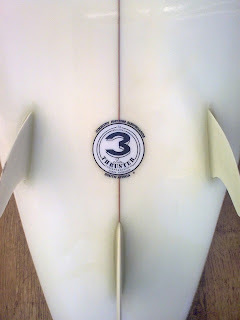 Lisle now resides in Sydney while i am still in Durban South Africa. 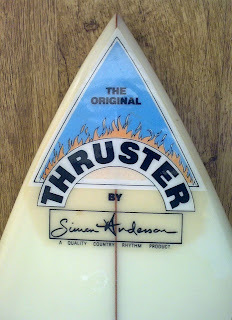 As i remember Simon and Lisle were big mates back in the 80's when Lisle's home in Margate South Africa became a home from home for a lot of the touring pro's (Tom Carrol included) - Lisle was manufacturing Country Rhythm boards then included the Simon Anderson design to his range. 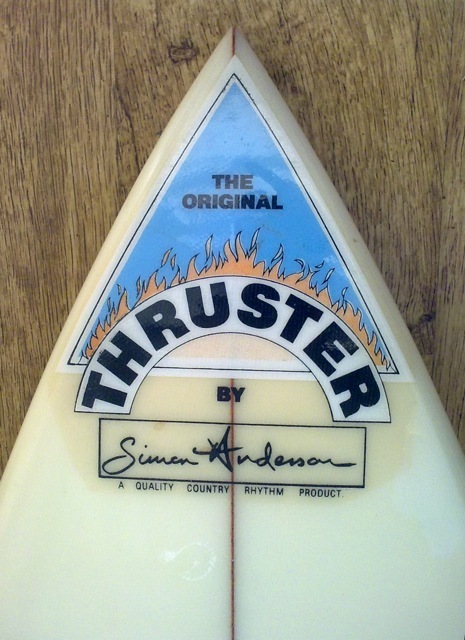 The thruster was hugely popular thenks to Simon and the skills of Lisle in producing top quality boards.